For a holly that tolerates poor soil, bad drainage, drought and dense shade, look no further than the Nellie Stevens Holly. It is shade-tolerant, with spiny, rich, dark-green leaves 2 to 4 inches long. The dense growth makes it an excellent choice for permanent screening for privacy or to obscure unattractive views. For a screen on a larger property, this tree takes some beating! Tough, tolerant of urban conditions and poor soil, the Nellie Stevens Holly will maintain its dense growth without clipping or form a solid hedge that will keep out a tank. Gives the height needed to screen from tall buildings and yet can be kept narrow too. This is the only holly that will produce berries without a male plant around. Screening is a vital part of almost every garden, as our gardens are often overlooked by neighbors. We may be near a busy road, or have an unsightly view in one direction or another. Perhaps we are exposed to strong winds. For any of these reasons, we need fast growing – but attractive and durable – plants as screens. 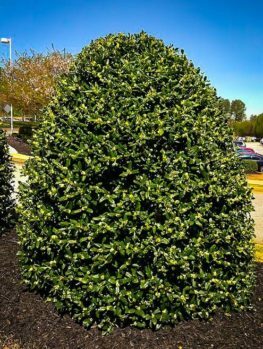 It is best if these are evergreen, and there are several evergreen trees that are suitable, but when looking for an evergreen for screening, it is hard to look past the Nellie Stevens Holly. This reliable tree satisfies so many needs – it has beautiful, dense, dark-green foliage. It is also pest-free, rapid growing (but not in need of constant trimming), and shade-tolerant too; a rare feature in screening trees. It gives you all this, plus there is the added bonus of a crop of striking red berries to brighten the dark days of winter and decorate your house for the festive season. The Nellie Stevens Holly is not just a great plant for screening, it also makes a wonderful specimen in the garden. Plant it in partially shaded areas beneath large deciduous trees. Use it as a background plant for smaller shrubs and flowers, as well as a great way to fill a corner of your property. It also makes a wonderful specimen on a larger lawn, or planted in pairs at an entrance gateway or spaced out along a drive. This is also a good choice for urban areas, as it will grow in poor, hard soil, and tolerate air-pollution too. Other trees do not grow well in inner-cities, but this tree can and does grow in difficult locations along highways and busy roads, and thrives in places where other trees will grow poorly or not at all. Most screening trees need full sun, but of course that is not always possible in every garden – you may have large shade trees nearby, or a tall building. This plant is more tolerant of shade than other screening plants, making it ideal as a screen in a shadier location. This tree will grow well even in full shade, but growth will be faster and denser in full sun. Just a few hours of sun a day during the growing season is enough to give you top-rate growth and a wonderful, dense screen. 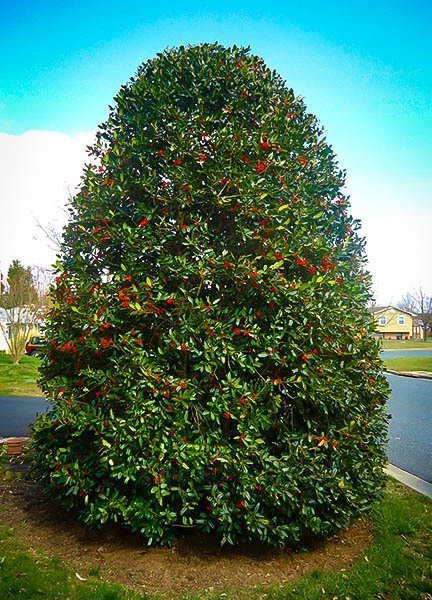 For almost any location on your property, the Nellie Stevens Holly is a great choice. Deer are a problem is many areas, and limit the trees and shrubs we can grow. If that is your problem, the good news is that deer will only touch this tree when desperate, as the thorny leaves make it very unattractive to them. Normally they will be left strictly alone, so your trees will be free to grow to their full size, without being limited by winter damage. If you have deer in your area this holly tree is a great planting choice. The Nellie Steven Holly is hardy from zone 6 to zone 9. Therefore, it will easily tolerate winter temperatures as low as minus 10 degrees, as well as thriving in hot area with humidity and high summer temperatures. In colder areas, there may be some browning of leaves, but even in warmer parts of zone 5 you can grow this tree, as any winter damage will quickly be replaced by new growth in spring. The Nellie Stevens Holly is a large evergreen shrub with glossy, rich green foliage. 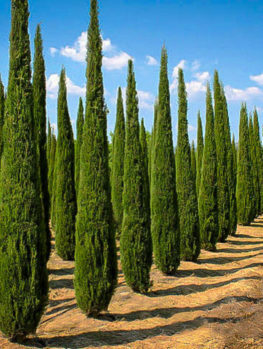 It quickly grows into a large shrub that is conical in shape, between 15 and 25 feet tall and between 8 and 12 feet wide. It will naturally keep its foliage right to the ground for many, many years, which is very important in making a screen. The feature also makes it a great specimen plant, forming a beautiful upright plant with no need to plant anything beneath it. It is also easy – if you want – to trim your tree up as it grows and make an attractive trunk, so this plant can be used in several ways. The leaves are rectangular, in a deep green, with a glossy surface which always looks attractive. They are up to 4 inches long, with 2 or 3 spines down each side of the leaf. If you prune up the tree you will see a trunk that is dark brown to dark grey in color, with smooth bark. In spring, trees produce small white flowers in clusters. These are inconspicuous and you may not even notice them, but as fall comes you will certainly notice the large red berries that are produced. These are up to 1/3rd of an inch across and they are usually not eaten by birds, so they last for almost all the winter months. They bring a wonderful, decorative look to the garden during this darkest and greyest time of year. Holly trees have separate male and female flowers on separate trees, and normally there must be a male tree nearby for the female tree to produce berries. The Nelly Steven Holly is an exception – it will give a good crop of berries even when grown completely alone. This makes it very special and the perfect choice for any garden. Especially if you have no other holly trees in your neighborhood, this is definitely the holly tree you should choose. A male Chinese holly nearby to give pollen is not in any way necessary, although you may get an even larger crop of berries if there is one around. This tree has excellent tolerance of different types of soil. Once established it will take serious drought, or complete flooding and be just fine. It will survive in hard, compacted soil and sand, loam or clay soils. Although all hollies prefer slightly acidic soil, the Nellie Stevens Holly is so vigorous that it will thrive in almost all soils. It will tolerate wet soils too, so this is one of the most versatile plants around, and a great choice if the area you want to plant a screen in has varied soil and light conditions. Nellie Stevens Holly grows throughout the warmer parts of North America, from Zones 6 to Zone 9. Throughout the South, from Texas and Oklahoma to almost the tip of Florida it will do well. In all the western states and in the east from southern Pennsylvania and Massachusetts and southwards, this tree will be perfectly happy. Of course, it will grow a little faster in the warmer zones, but the growth rate is excellent wherever this tree grows. Your Nellie Stevens Holly should have almost no insect or disease problems, although there have been very occasional reports of scale insects. 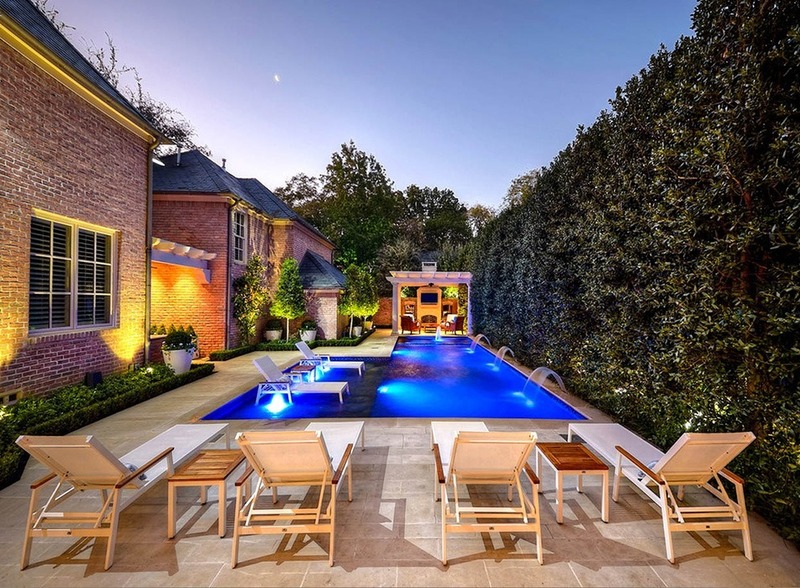 With a little care, some water during the driest periods, and some fertilizer in spring when young, it will perform well and grow healthily and vigorously for decades. The Nellie Steven Holly is a hybrid tree of the Chinese and English hollies. This gives it unique properties, as well as making it exceptionally vigorous and tough under a wide range of conditions. Hybrid trees like this can never be grown from seed as each seedling will be different and unpredictable. Our trees are grown the correct way, from branch cuttings taken from correctly identified trees. Our Nellie Stevens Holly are grown under controlled conditions to produce the strongest and healthiest trees possible. 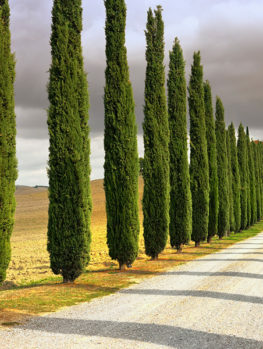 That way every tree is identical to the original and produces a very uniform effect that is especially noticeable when grown in groups or as a screen. Of course, this process takes longer, so avoid cheaper, seedling trees that will only be a disappointment and produce unpredictable and low-quality growth. With its dense growth, hardiness and shade tolerance, the Nellie Stevens Holly is the perfect choice for a screen or hedge. 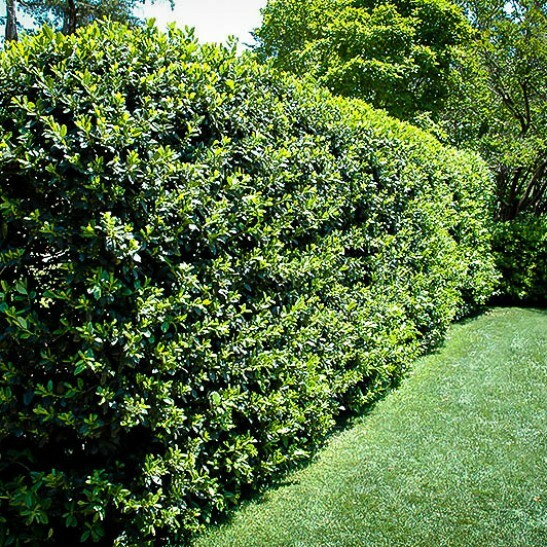 It will grow up to 3 feet a year, after becoming established during the first year, so a screen or hedge perhaps 25 feet tall could grow in just ten years under ideal conditions. Planted in a screen the trees will grow together well and form a solid wall. One of the great features of this holly is the beautiful way the foliage continues right to the ground. There is no need to invest in ground-cover to cover the ground below your trees. This feature will also hide most of the leaves which fall in spring after the new growth appears, so raking will be reduced. Nellie Stevens Holly is one of the best screening trees available for warmer areas. For a quick screen plant 4 feet apart and in a few years your trees will have formed a solid barrier. It is also possible, if you can wait a little longer, to plant your trees 6 to 8 feet apart. They too will join up after a few years of rapid growth. An alternative way to grow a dense screen is to plant your trees in a double row. Make the rows 3 to 4 feet apart, and space the trees 6 to 8 feet apart in the rows. Plant in a zigzag pattern, so that each tree sits in the space created by the trees in the other row. Planted in this way your trees will grow together and form a dense, impenetrable barrier that will give you complete privacy, protection from wind or noise, and effectively trap drifting snow. Because of the neat pattern of growth, if you grow this plant as an informal screen you can leave the plants to grow naturally without trimming and they will not look wild or uncared for. This makes the perfect backdrop for your garden, or a low-maintenance way to create a boundary to your property. 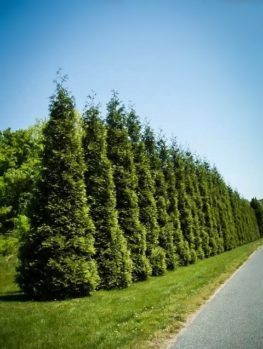 This is such a versatile tree that it also is a great choice for a formal hedge of almost any size, between 5 and 25 feet tall. Plant the trees 3 feet apart for a low hedge, or 4 to 5 feet apart for a taller one. Dig out a trench and space the trees evenly, using a tightly-stretched cord to get the row straight. Place the first and last trees half the planting distance away from where you want the hedge to start and end. 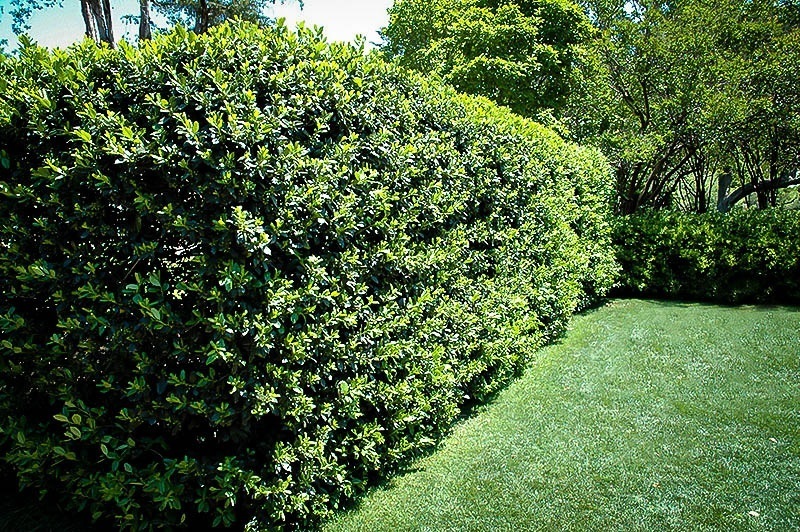 To develop the best hedge, you should start trimming as soon as the trees are established. Do not wait until your plants reach the final height you want. Just trim a couple of inches off the tips of the stems regularly, so that you have dense, well-branched plants to form your hedge. The area you are going to plant in should be dug 8 to 12 inches deep. Add any kind of organic material – rotted manure, compost, rotted leaves or peat moss will all help develop a good root system that will give you the best growth possible. Some bone-meal or superphosphate worked in is also helpful, but this is an ‘extra’ in most soils, and is only essential in very poor, sandy soils. To plant a screen or hedge, it is best to dig a long trench which is easier to plant into, rather than digging individual holes. Before filling the planting hole or trench, add plenty of water to fill the hole. When it has drained away put back the last of the soil and level off. This is a great low-maintenance plant, and needs only the most minimal care to thrive in your garden. However, for optimal growth during the early years some basic care is worth doing – it will repay you in rapidly growing and healthy trees, giving you the best possible results. Water your trees weekly during the first growing season, and do not rely on light rain, as this often does not penetrate the ground very far. Once they are established watering is only needed during dry spells. When you water, apply plenty of water, but do it slowly over a period of an hour or two, so that it can penetrate deeply into the root-zone. For optimal growth, use a fertilizer in spring. 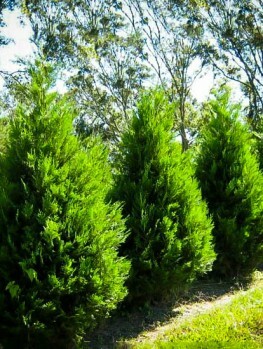 The best kind is one designed for evergreen trees, which will have the correct balance of nutrients your plants need. Follow the manufacturer’s directions, as too much food can be more harmful than too little. When trees are young liquid fertilizers are a good choice, because the nutrients move quickly to the root area. However, these need to be applied frequently, so after the first season or two, choose a granular type of fertilizer. Modern slow-release fertilizers are a great choice, as one application a year, in early spring, is usually all that is needed. Unlike most evergreen needle trees, hollies will tolerate as much pruning as you want or need to give them. If you are slow in getting to trim our trees and they become overgrown, you can, if necessary, cut back to the bare branches and new growth will come quickly. This makes them a great choice for the busy gardener, who cannot always get to jobs at the ‘correct’ times. Although your trees will quickly re-sprout from a hard trim, hard pruning will usually stop berry production for one or even two years, as it will remove the flowers. Therefore regular, light pruning is always preferable to maintain a hedge and still have this tree produce berries. The best time to prune is in late winter or early spring, after the coldest weather has passed and before new growth begins. Pruning at that time will stimulate lots of shorter new shoots, so the growth will be dense and tight, needing less pruning later. 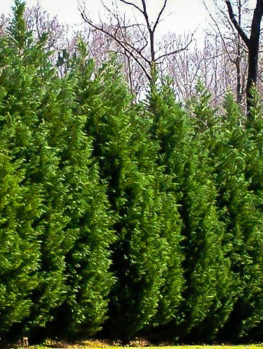 Especially when young, an extra trim in early summer or early fall will encourage density and tight growth. Avoid pruning during very dry and hot, or very cold, periods of the year. 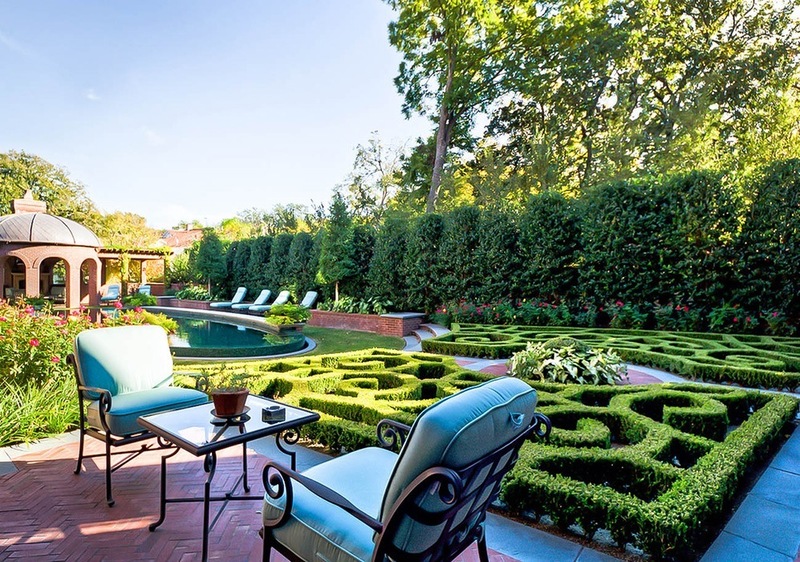 For informal screens, little or no pruning is needed, although trimming any long shoots back by one-third to one-half will keep your trees dense, without making a ‘formal’ look. When developing your hedge, it is important to start early and trim trees while they are young. Just remove a little growth regularly from the tips of the shoots, so that they develop many small branches. 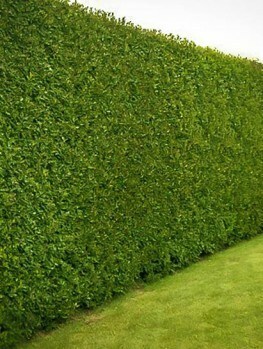 Once the hedge is closer to full size, you can begin to trim it more evenly all over. Always slope the sides inwards by a few degrees, so that the lower growth remains healthy and green right to the ground. Cut the top square or round as you wish, but a round top will shed snow better in areas where falls can be heavy. If you want a tree-form to your tree, it can easily be pruned up to give head-room underneath along a path or driveway, for walking or driving beneath it. Trim small branches away, starting at ground level, while the trees are young, until you have the height you need. This way you will develop a clean, attractive trunk with no scars. If you wait until the lower branches are thick before removing them, it will take several years for the scars to be covered with new bark, and the trunk will be less attractive during that period. Our image of what holly looks like is very influenced by pictures of red berries and spiny green leaves at Christmas. However, that holly, the English holly (Ilex aquifolium) does not grow well in most of North American because of the colder winters and hotter summers. When our early gardeners saw this, they looked for improvements. Around 1900 Mr. Nellie Stevens picked some berries from a holly tree growing in the National Arboretum, in Washington D.C. He grew some plants and one he planted in his garden was very hardy and attractive. It turned out to be a natural hybrid between the Chinese holly (Ilex cornuta), and the English holly, which was why it was so hardy and vigorous. The original tree grew in his garden in Maryland until his daughter made it available to growers around 1954. It soon became a very popular tree, particularly because it is the only holly tree that will produce berries all by itself. All our trees are true to the original form of this special tree, and we have a wide range of sizes to give you the best plant for your particular purpose. We are constantly renewing our stock, as shipping our customers fresh and healthy plants is always our priority. The demand for this popular tree is always high, so supplies may be limited. To avoid disappointment order now and enjoy a screen, hedge or specimen of the Nellie Stevens Holly in your own garden.